Tourists from all over the world can now get a glimpse of the Titanic that rests at the bottom of the Atlantic Ocean. This is an once-in-a-lifetime experience and an expedition designed only for those with a truly adventurous spirit. A London-based travel company, Blue Marble Private, will begin dive tours to the to the wreck site of the Titanic. Commencing in 2018, with further dives scheduled for 2019, the 8-day missions led by OceanGate Expeditions, will take nine adventurers at a time from the coast of Newfoundland, Canada on a deep ocean discovery of the Titanic. Reaching depths of 4,000 metres in a specially designed titanium and carbon fibre submersible, guided by a crew of experts, one can glide over the ship’s deck with a glimpse of where the famous grand staircase was once set, capturing a view that very few have seen, or ever will. The first voyage is fully booked and the experience will cost USD 105,129 per person. OceanGate Inc created the purpose-built submersible which will carry the crew and guests. The guests will be called ‘Mission Specialists’ and will learn to assist the expedition team in the submersible and aboard the expedition yacht. There will be three potential days of diving, with dives lasting for three hours. One can also get the opportunity to spot magnificent bio-luminescent critters during the 90-minute descent. 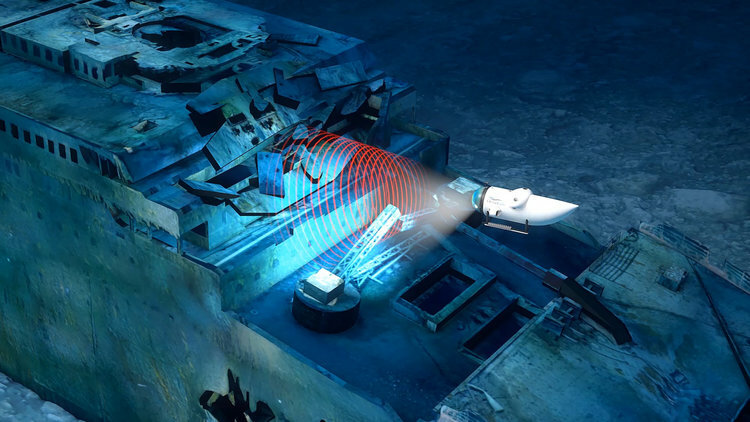 During the dive, the crew may conduct 3D and 2D sonar scans or search for one of the ship’s giant boilers, enormous propellers and other landmarks of this famous vessel. According to Elizabeth Ellis, founder of Blue Marble Private, there will be the opportunity to explore Titanic’s massive debris field, home to numerous artefacts strewn across the ocean floor, nearly undisturbed for over a century. On April 14, 1912, RMS Titanic collided with an iceberg four days into her maiden voyage from Southampton, England to New York City, US. Just over two hours later, she succumbed and hit her resting place at the bottom of the Atlantic Ocean.